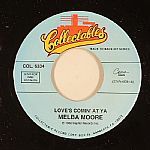 Review: While most remember Melba Moore for her string of disco and boogie-era classics, she actually started her career at the tail end of the 1960s recording soul stompers in Nashville. 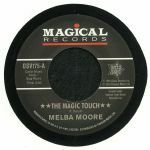 "The Magic Touch", which here gets the reissue treatment, is a typical Northern Soul style four-to-the-floor slammer that was recorded in 1967 when she was 22 years old and has previously only been issued on a hard-to-find 1986 single. This time round it comes backed with Maxine Brown's similarly popular Northern Soul scene staple "It's Torture", which remarkably went unissued until Kent Records discovered it in the Ace Records vault back in 1985.